Congrats To Usher & Tameka! Usher’s wife Tameka Foster gave birth to a baby boy yesterday. Congrats! Congrats To Janet & J.D. Awwwww, she is so pretty! Singer Gwen Stefani and her husband, Gavin Rossdale, welcomed their second son today. The child, Zuma Nesta Rock Rossdale, was born at 12:46 p.m. PT and weighed eight and a half pounds. Congrats! 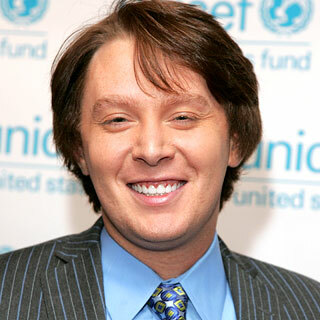 Clay Aiken Is A Daddy! “Clay Aiken is a daddy! The former American Idol contestant and music producer Jaymes Foster welcomed a baby boy Friday morning, the singer said in a statement on his Web site. “They are just 3 weeks old, but twins Knox Léon and Vivienne Marcheline are about to take the world by storm. “It is chaos, but we are managing it and having a wonderful time,” Jolie tells PEOPLE of daily life at the Château Miraval in Provence, France, where the couple’s four older children – Maddox, 6, Pax, 4, Zahara, 3, and Shiloh, 2 – have been enjoying a summer of outdoor play (hide-and-seek is a favorite) on the château’s sprawling grounds.